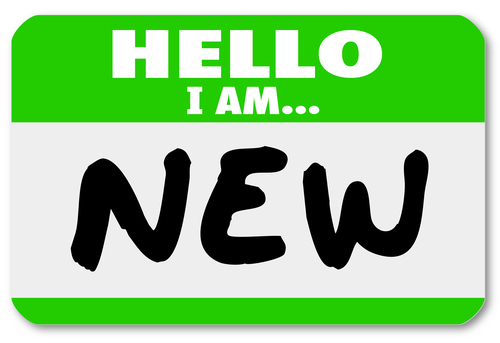 Blog eXp Careers - A good brokerage for new agents? eXp Careers – A good brokerage for new agents? eXp Careers – Is this a good brokerage for new agents? Real estate appears to be a great profession for aspiring brokers. It is a very good way of making money with lots of freedom and flexibility. But a lot of men and women are disappointed when they find that they are not able to make a decent amount of money and the earnings are also slow to come. eXp Careers may be the answer. For newbie agents and aspirants, eXp Realty provides a solid platform to maximize their earning potential. It is a cloud based real estate company that has propelled thousands of successful eXp careers. eXp Realty describes itself as the Agent Owned Cloud Brokerage. It provides solid support and guidance to all its members to help them grow their business. You can consider yourself working in a realty firm with the difference that there is no brick and mortar office. The company makes use of modern technological tools to make it easier for its agents to succeed. It charges no royalty and no administrative fees. Agents keep 80% of their commissions on each deal that they close . Also, the company gives option of owning stocks. This means every single agent of the company is a part owner of the company. You stand to get the legendary eXp Realty commission splits and also enjoy ownership in the company. And don’t get us started on the revenue sharing potential. It is possible to earn over 100%. Read more about that here. Apart from monetary rewards, what separates eXp Realty from other real estate firms is the fact that it is cloud based. While this means that you do not have a brick and mortar office of the company, it also means that you are in your office, anytime and anywhere. Log on to your account and you find yourself interacting with your colleagues and seniors as if you are inside a physical office. You will be surprised with the teamwork and the kind of support and guidance that is available to you all the time as you try to close your deals. Be your own boss by joining the eXp Realty today. If you are hesitant because you are not tech savvy, there is no need to worry. The company arranges over 25 hours of live training through its experts to make you feel comfortable with all the technology and tools that are used to help the agents. You will learn the tricks of the trade in no time at all and see your income increase. 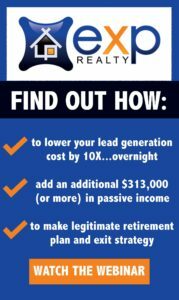 Curious about eXp Realty? Schedule a confidential conversation with us today.